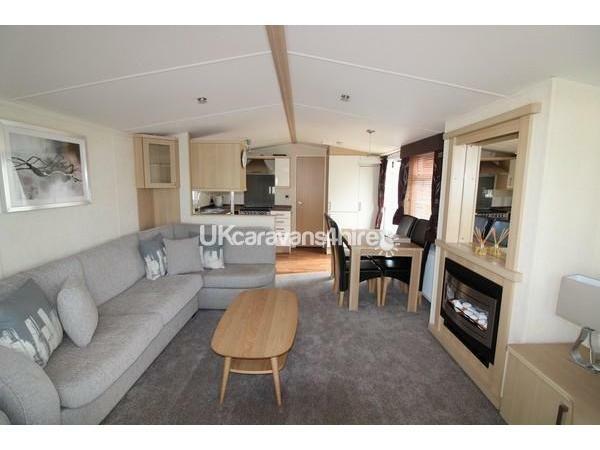 Additional Info: This premier caravan with modern open plan living has everything you will need to make your holiday enjoyable. 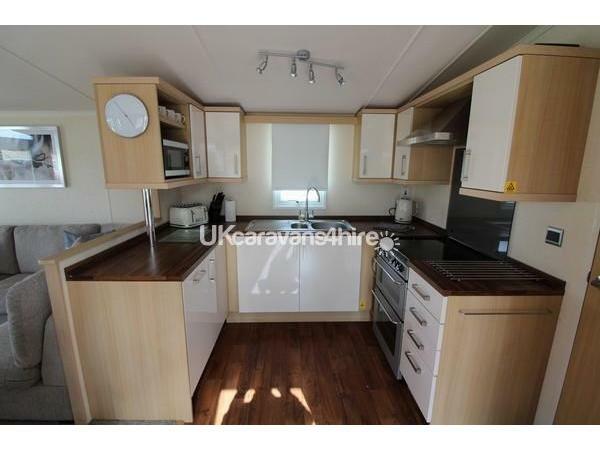 It features patio doors leading onto the balcony, 42" TV in lounge, dishwasher, full size fridge/freezer. TV in all bedrooms. Situated in close proximity of the golf course and the amenities. 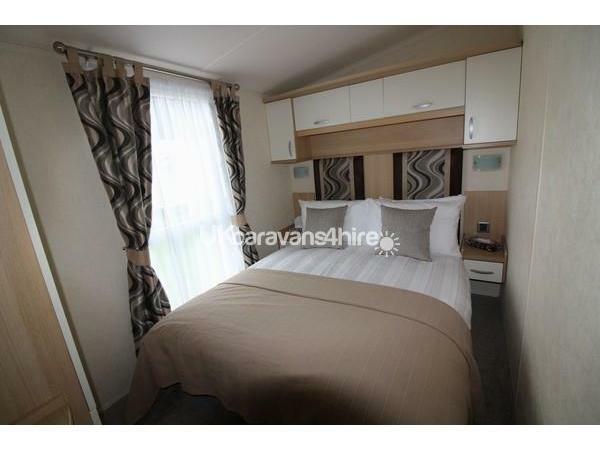 Linen included for the double bed and towels supplied. A deposit of £50 is required to secure reservation with the balance to be paid six weeks prior to your holiday. 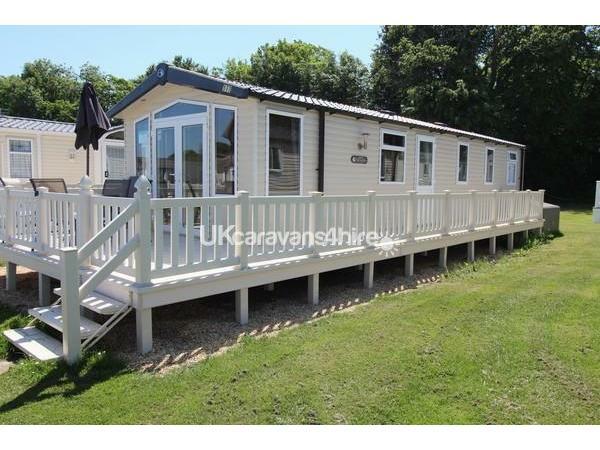 The quality caravan with specious modern open plan living accommodation has patio doors in the lounge leading onto the gated balcony and is equipped to a high specification. 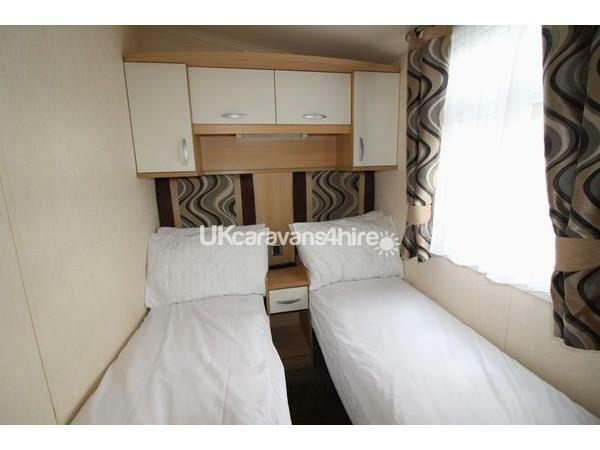 Located in a sunny position and within easy reach of the facilities. 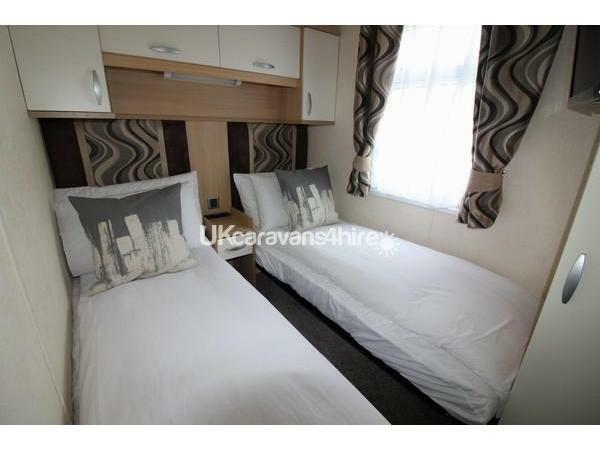 This holiday home is located in front of ST190 our two bedroom premier Swift Moselle. We can provide linen for a fee for the single beds. A travel cot, high-chair or bed guard can be supplied free of charge subject to availability. Bashley Park has been awarded 5* buy the visit England Group. It is situated in a hundred acres of tree filled country estate with excellent facilities for all the family. It is an ideal base to enjoy both the New Forest where ponies and deer roam freely as well as the advantage of having local coastal areas with lovely sandy beaches. Additional Info: Soft play area, two outdoor pools and new outdoor play area for the children. Also an indoor pool. Adventure Golf facility and archery. New treatment facility - Beauty H.